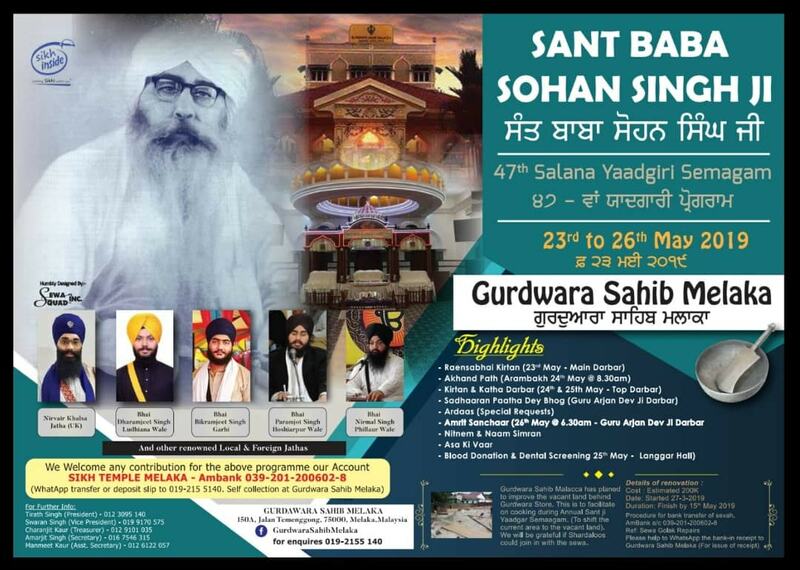 The 47th Baba Sohan Singh Ji Salana Yaadgiri prayers will be held from 24th May to 26th May 2019. 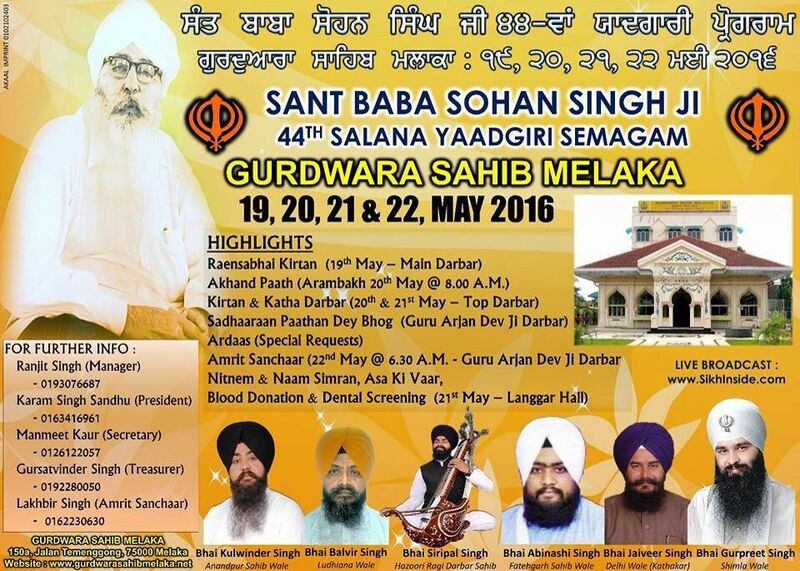 We would like to thank each and every Sangat who has attended, contributed and render services throughout the event. 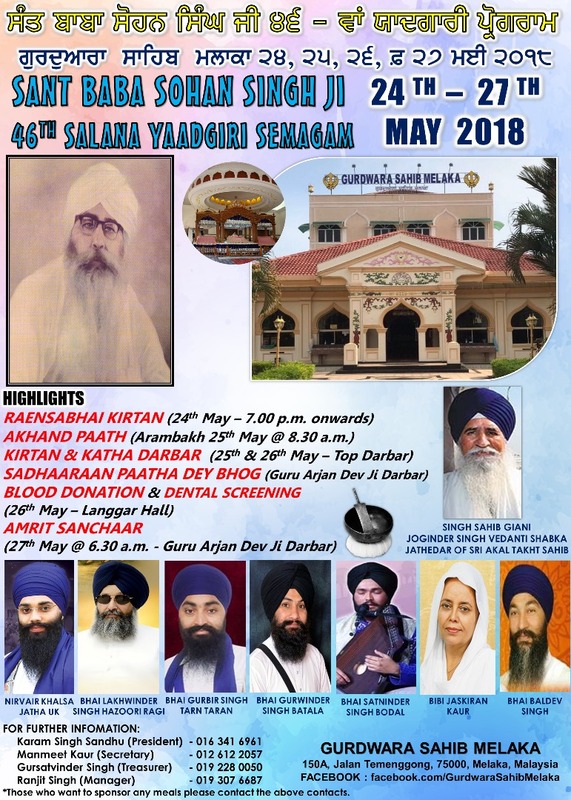 We are also grateful that more and more Sangat are coming each year from overseas countries to commemorate Baba Sohan Singh Ji's Salaana Yaadgiri. Some countries worth mentioned besides Malaysia & Singapore are Indonesia, Thailand, Canada, Australia, India & European countries. We thrived to make this event as pleasant possible for each and everyone who comes here each year to pay homage to 'Babaji'. 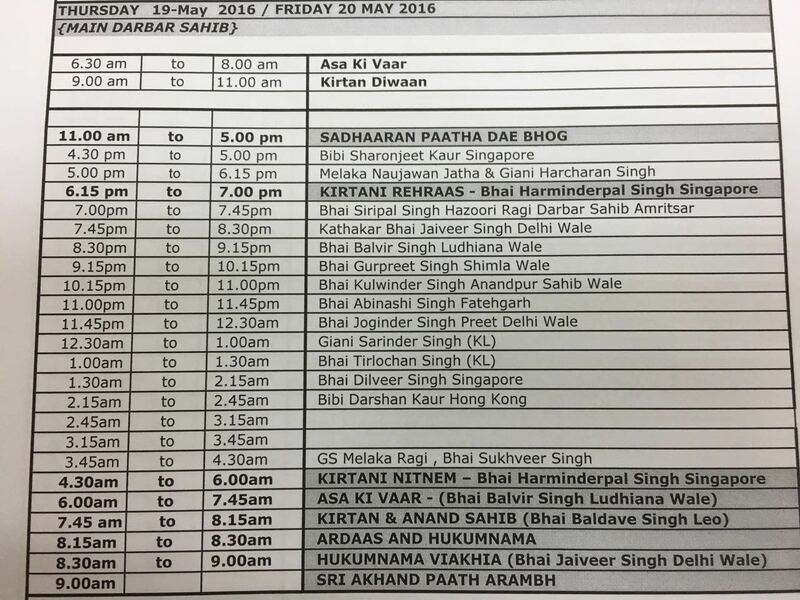 Besides preparation of 'Langgar' (food), top Raghi Jathas are also invited to perform 'kirtan' (religious hymns). As part of humanitarian effort, we organise with the help of the Local Health Ministry, a blood donation drive and 'Oral Cancel Screening' this year. We also thanked the donors who always turn up for this drive and help in a way to save lives. 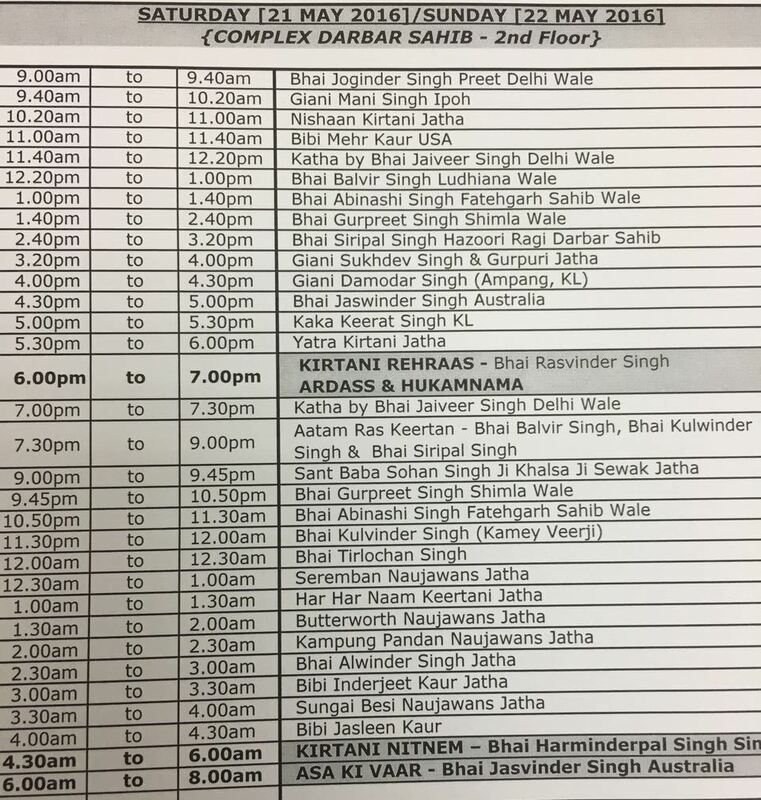 We are also grateful to local e-hailing company GrabCar for giving patrons promo code/discounted rides for journey between Gurdwara Sahib Melaka and Melaka Sentral Bus Terminal to and fro on all 4 days. As the curtain falls, many new friends are made, old colleagues united, wishes turn to happiness & smiles in everyone faces as we look forward for next year prayers. Please do make early preparations and book accomodations earlier. Travel safe and keep 'Babaji' in your hearts forever. 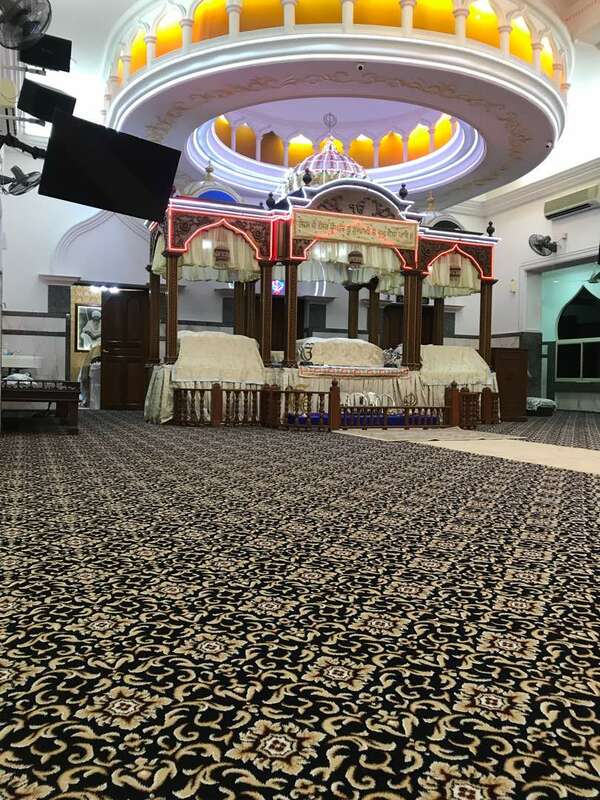 This joyous season was celebrated in true fashion of Sikhsim beginning with an Akhand Path and games for the everyone in the compounds of the Gurdwara. 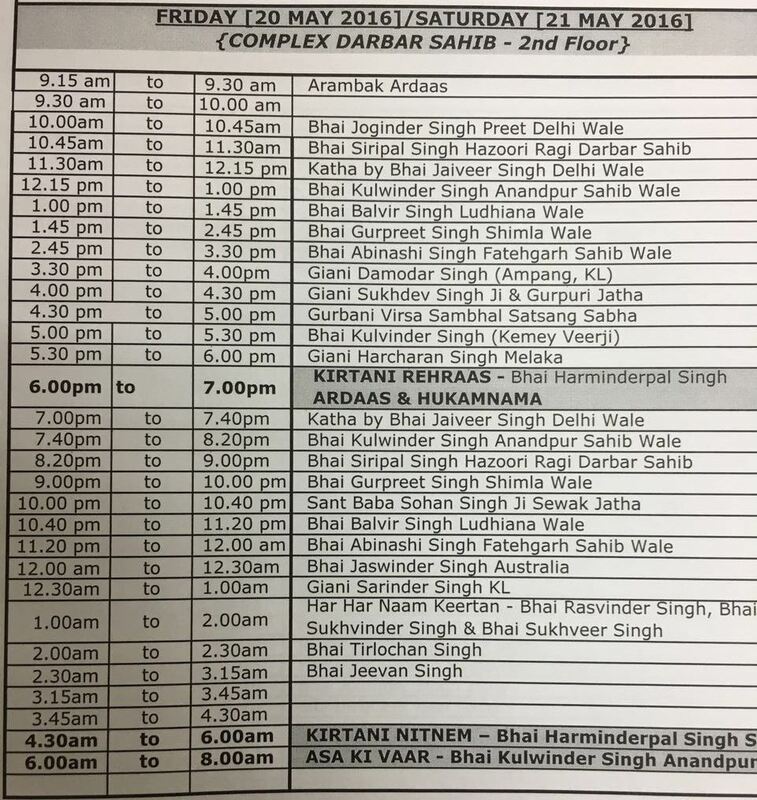 There were awesome fireworks in Gurdwara Sahib and also sports event organised by the Malacca Sikh Sports & Cultural Club. 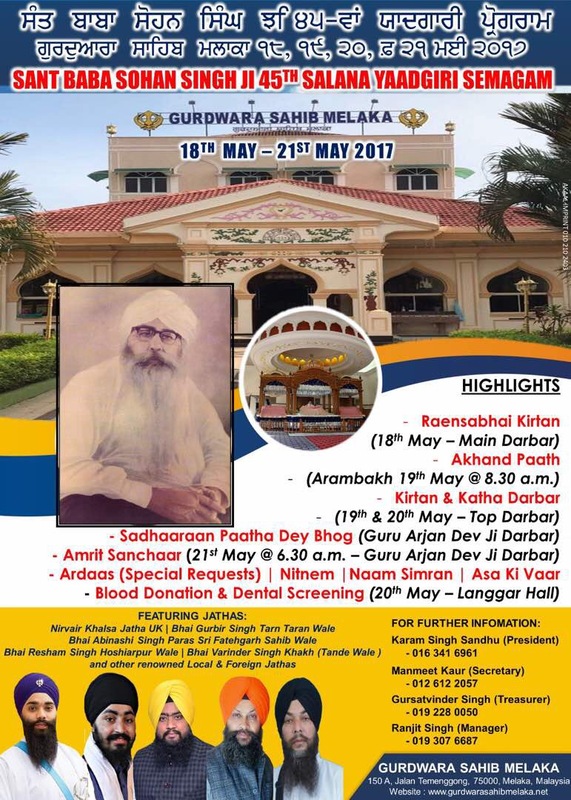 GurdwaraSahibMelaka.net & GurdwaraSahibMelaka.com domain is registered privately. Please use "Contact Us" to get in touch with owner of this domain.